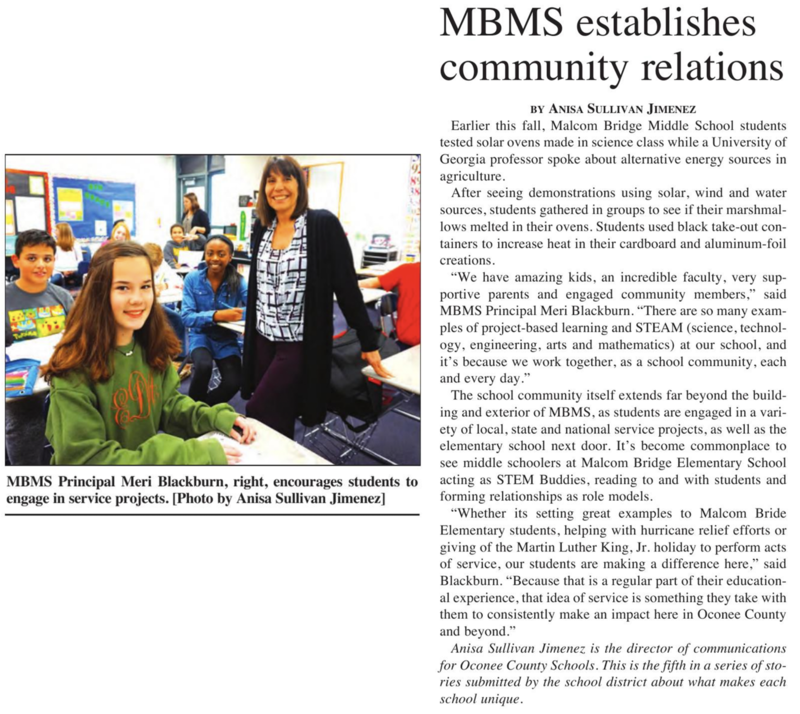 Welcome to the MBMS website! This website will provide you with information about our school, students, instructional program, and community. Early Checkout Cut-off 3:15 p.m.
All 6th and 7th grade girls interested in trying out for MBMS Volleyball - please come by Coach Hefner's room (614) to sign up. Tryouts will be right after school until 5:15 PM starting April 30th and ending May 3rd. You must have a physical on file to try out. North Oconee Titan Baseball Informational Meeting will take place on Monday, April 22nd at 5:30 - 6:00 at the NOHS baseball field. Please share your feedback on your cafeteria experience using the link http://www.oconeeschools.org/nutritionsurvey.